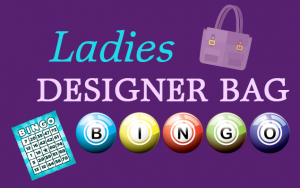 We are excited to announce our first annual Ladies Designer Bag Bingo! Get ready for an evening of fun and prizes! There will be 8 games of Bingo played, with prizes of fantastic handbags from designers including Frye, Kate Spade, Tory Burch and more. In addition, we will be holding RAFFLES with even more prizes! WHO: Ladies of Valley Forge Elementary! WHERE: St. Issac Jogues Parish, 50 W. Walker Road, Wayne. 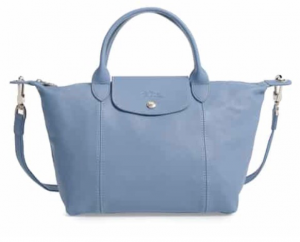 We will be holding raffles at the event for great prizes, including our Grand Prize raffle: Longchamp Small ‘Le Pliage Cuir’ Leather Top Handle Tote ($495 value)! Our Grand Prize raffle is open to the public, and the winner does NOT need to be present to win (but must be able to pick up your prize locally). Grand Prize raffle tickets are $10 each and may be ordered online through midnight, February 21. Other raffle tickets will be available at the event only at $5 each; winners must be present to win regular raffle prizes. Click here to purchase Grand Prize Raffle Tickets! Event tickets are $40 each or $350 for a table of 10. There are a total of 20 tables (200 seats) available. Bring your own EVERYTHING- table cloths, food, drinks, cups, utensils, etc. It is also a CYO event…. clean your everything! Event tickets are on sale online now through February 21 at midnight, or when all tickets sell out! Click here to RSVP/purchase event tickets!